Rippon's story begins in 1912 when Sir Percy Sargood bought a high country station on the western flanks of Lake Wanaka. Three decades later, while serving in the Second World War as a submarine lieutenant, Percy's grandson, Rolfe Mills, was struck by the vines growing on the schist slopes of the Douro Valley that reminded him of those back in Wanaka and, with that, a hunch was born. 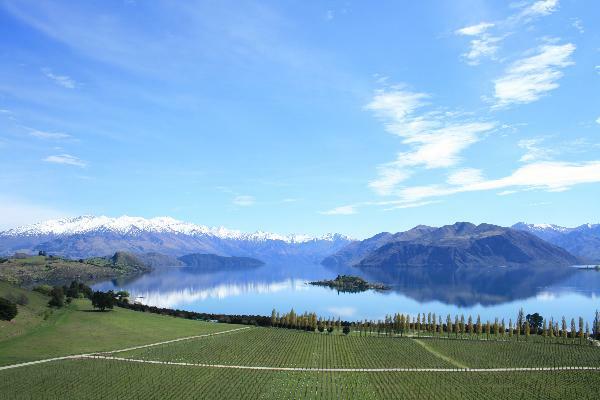 In 1975, Rolfe and his wife Lois began planting experimental vines and, in 1982 began the commercial planting of the 15ha that today comprise Rippon. Biodynamic farming, wild ferments, no irrigation and some of Central Otago’s oldest vines on their own roots all help to produce fruit and wines which are true to their place. Our vineyard Cellar Door offers a tasting selection of wines all grown and produced on our lakeside farm.